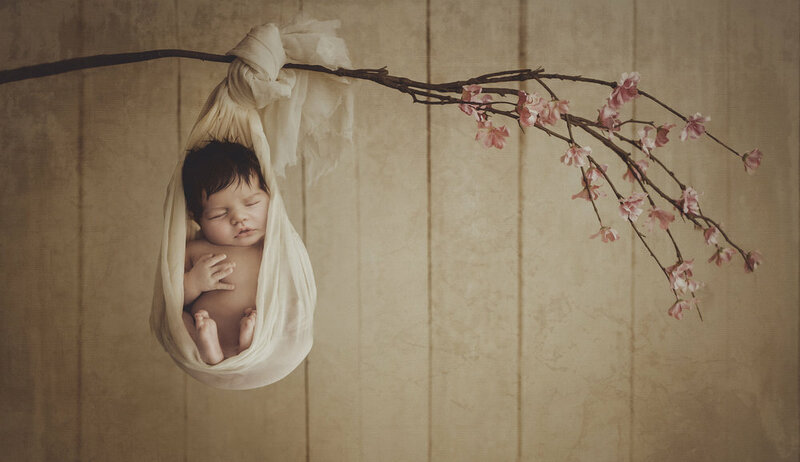 I offer two kinds of Studio Newborn Sessions. Studio Newborn sessions take place in my home studio in Amaranth, Ontario (just 10 minutes North of Orangeville, or roughly 1 hour Northwest of Toronto), where we will have easy access to all my props, backdrops, newborn outfits, etc. We will work together to customize your session to your preferences. Posed Studio Sessions are comprised of posed and semi-posed newborn images. They may also include images of mom, dad, and siblings with baby if desired. 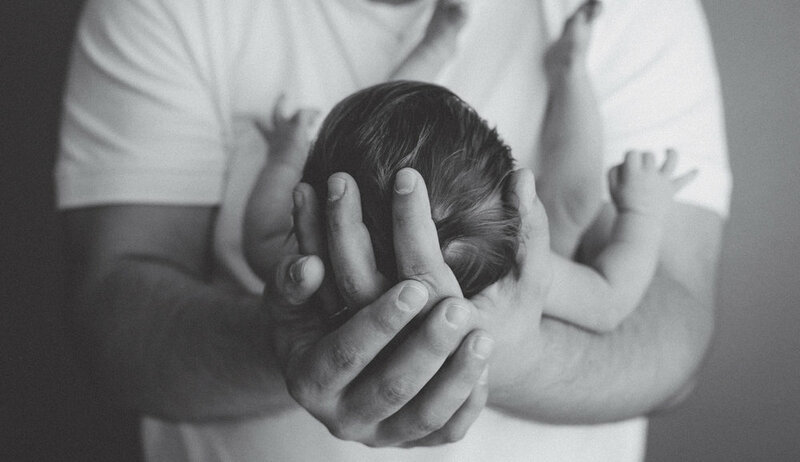 Posed sessions can last up to 3.5 hours as posing baby can be a delicate and time-consuming process. Natural Studio Sessions are comprised of mostly wrapped and baby led images. There will be no prop shots involved in Natural Studio Sessions. We will seek to capture baby in positions that he/she naturally puts herself into, only lightly modified by me. Natural studio sessions have a lower session fee as they are shorter sessions. Usually no more than 2 hours. If you choose to incorporate sibling images I will ask you to have siblings there at the beginning of the session and then make arrangements for a family member or friend to take the siblings for the duration of the session. This keeps helps maintain a quiet environment and limits distractions as sessions can be long and do get boring for older children. It is recommended that you complete your studio session in the first 2-3 weeks of your baby's life. 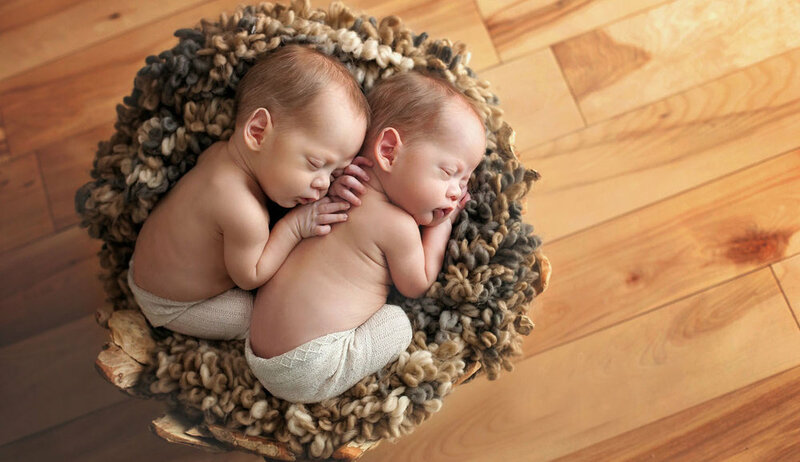 This is simply because, for most babies, this is the time when they sleep the most and still love to curl up into those sweet, curly poses that we all love. It is important to book your Studio Session as early as possible. I accept a limited number of sessions each month and often book up 3-5 months in advance so I highly recommend booking your session as early in your pregnancy as possible to ensure my availability. 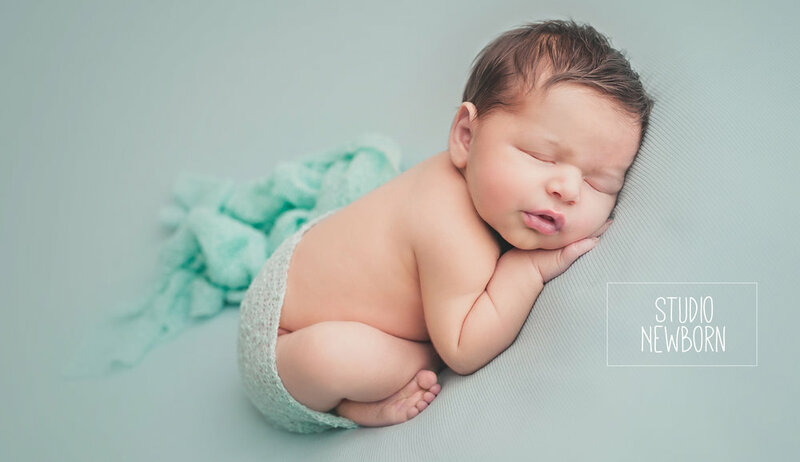 To see Prices & Packages for Studio Newborn Sessions please click here.